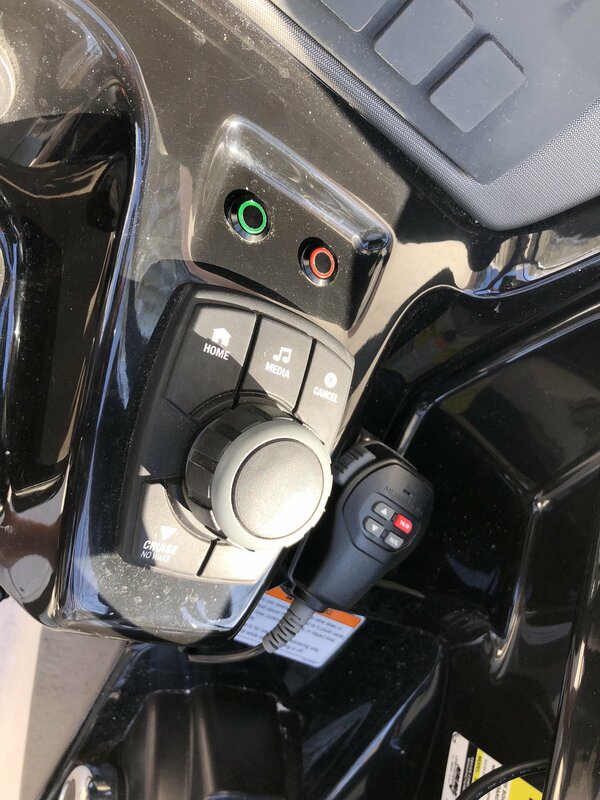 I'm wanting to mount a non-handheld two way radio to my 2018 242x. I'd like to see some pics of what other 242 owners have done to mount their radios. If you also could describe any install tips, radio advice, or other FYI's, I would appreciate it. I should mention that I'm looking at the standard horizon gx1700 as my top choice right now. Thoughts? Here is where I put mine. I think that does seem like a logical place though. I used a piece of 1/4" starboard and mounted where the factory storage tray is behind the throttles. 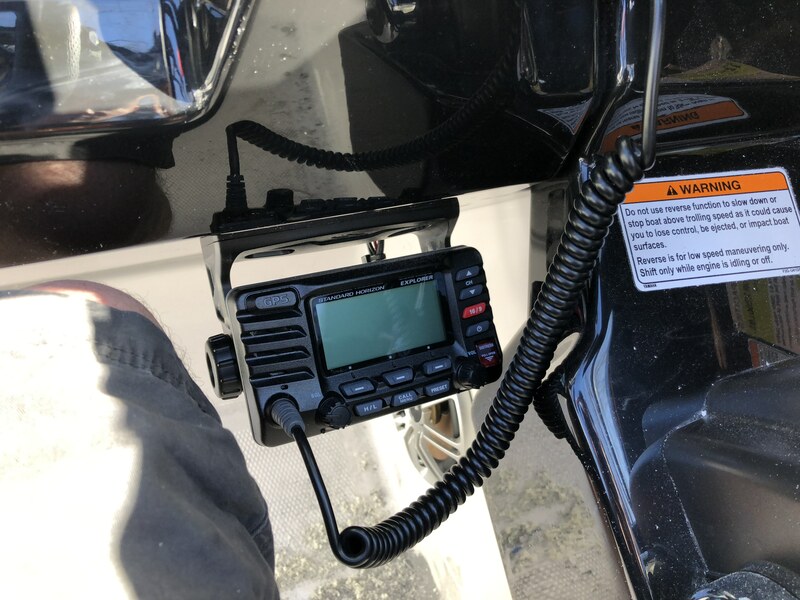 I can remove 4 screws, unhook the power and antenna cables and put the tray back when running on my local lake where I don't need the VHF. That’s what I was looking for. Good idea. I’ll prob do that. Unless someone has an idea for the area to the right of the throttle. I put mine under the dash as shown above and my height is 6'0" and I have never hit my leg or knee for what its worth. @BBottoms I really like this installation, very clean and out of the way. Which radio is that? It's a Standard Horizon GX1700. Many fixed mounts that have the ability to be flush mounted could work though. I had to buy a separate flush mount kit for the GX1700, which was just two small stainless brackets. I think it was $15 or so. I was a little worried about the built in GPS in the radio picking up satellites but it seems to work fine and the unit is probably as or more exposed to the sky than an under dash mount. My Horizon 17oo (GPS) works fine under the dash. It takes a little longer to get GPS signal when the winter cover is on.